This geocache can be easily accessed by parking in the swimming pool parking lot, and taking the Lake Trail access. You will want to cross the wooden foot bridge and cross the stream. 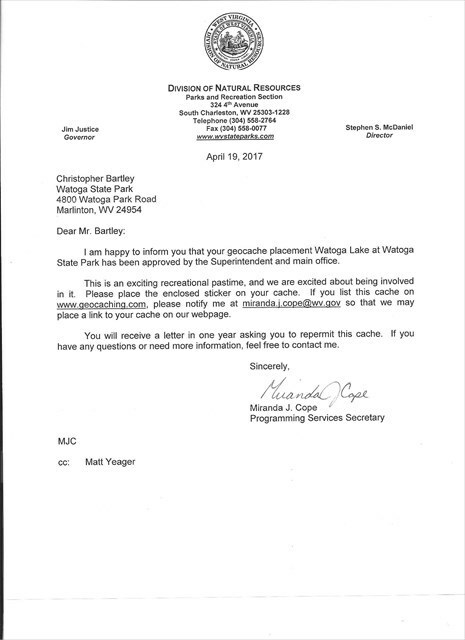 Approval LetterThis letter approves for this geocache to be placed in Watoga State Park.